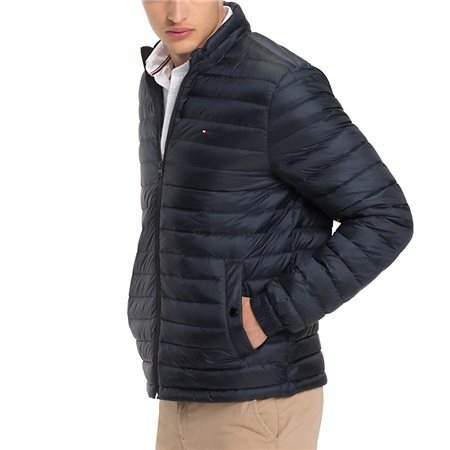 Keep out the cold with this padded jacket. Super comfortable and extremely warm with its down padding and lightweight nylon outer for durability. A classic funnel neck, elasticated cuffs and zip through help protect against the elements.